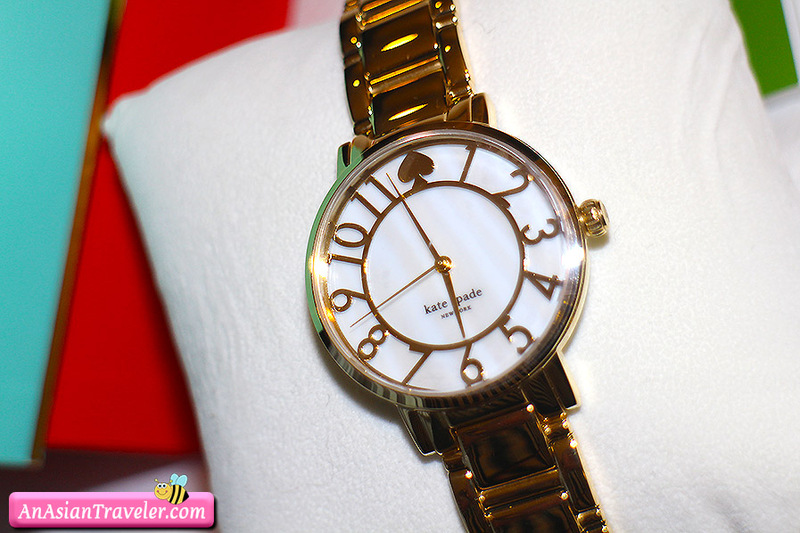 I actually bought this Kate Spade 'Gramercy' mother-of-pearl bracelet watch (34mm) on Anniversary Sale at Nordstrom online a few months back for cut-price. It's always kind of gratifying when you get an awesome deal on something that you really like. I love how it looks with the rest of the accessories. 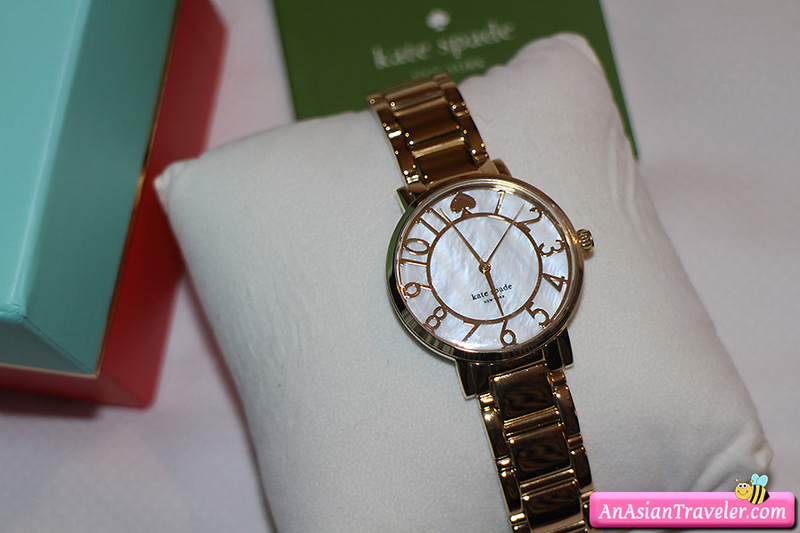 This classic and feminine Kate Spade Gramercy bracelet watch has mineral crystal face with modern numerals shine atop the beautiful mother-of-pearl dial. 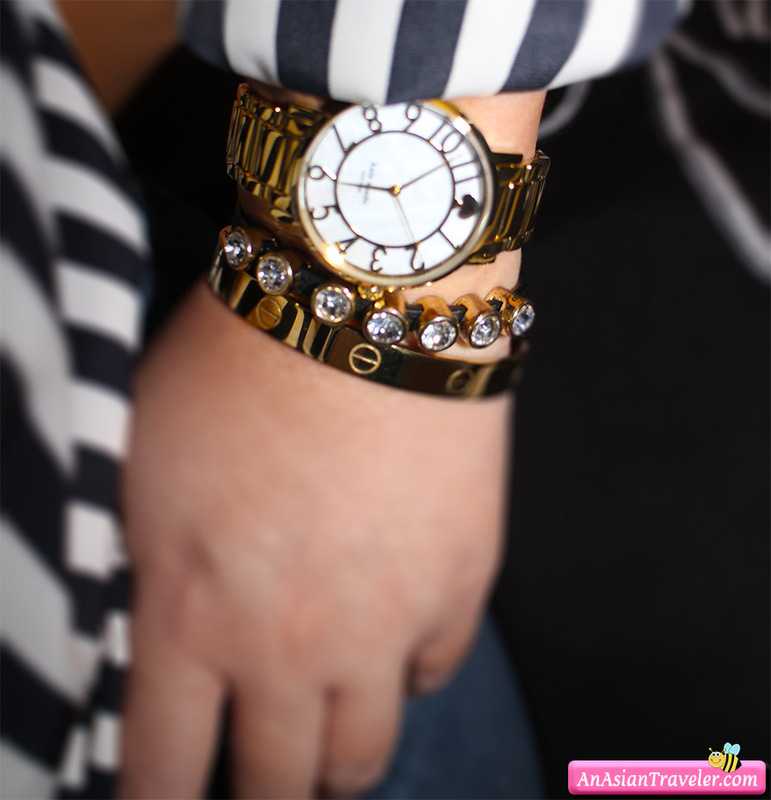 The "gold" watch is currently unavailable but you can buy the two-tone color (rose gold/silver) priced at $250 here and the silver here.